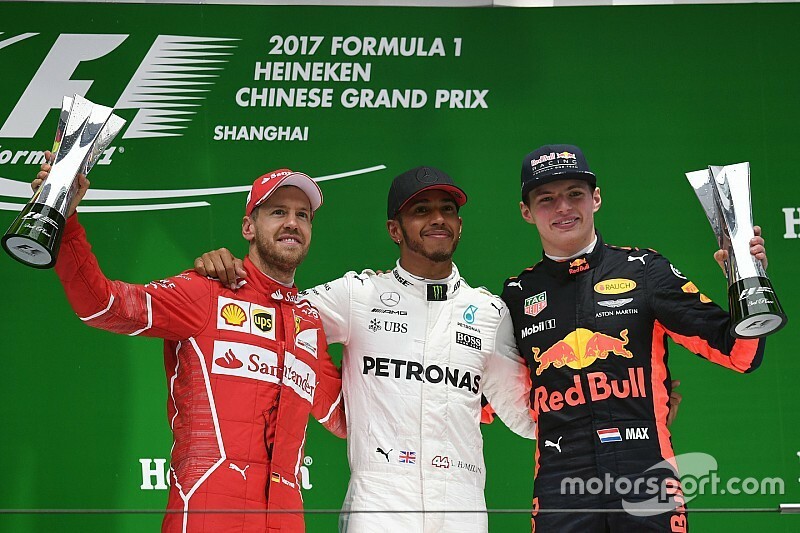 Lewis Hamilton converted pole position into a controlled race victory in a mixed-conditions Chinese Grand Prix. Hamilton and his Mercedes team bounced back from defeat against Ferrari's Sebastian Vettel in Australia, the German failing to present a major challenge this time around, not helped by losing time in traffic early on. Vettel did finish the race a clear runner-up, with Red Bull's Max Verstappen grabbing the headlines by completing the podium from 16th on the grid, holding off a strong late challenge from teammate Daniel Ricciardo. While a rapidly-drying damp Shanghai track had created uncertainty heading into the race, there was consensus among most F1 teams and drivers, as all but two cars – the Toro Rosso of Carlos Sainz and the Renault of Jolyon Palmer – had intermediate tyres fitted. When the lights went out, poleman Hamilton eased towards Turn 1 in the lead, whereas fellow front row starter Vettel only just kept the second Mercedes of Valtteri Bottas at bay. 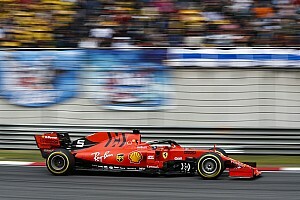 There was much progress on the opening lap for Red Bull, with Ricciardo picking off Ferrari's Kimi Raikkonen for fourth after the opening sequence of corners and Verstappen powering through to seventh by the end of the tour, having made up nine places. 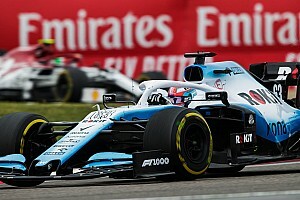 Midway through the first lap, Lance Stroll, who had made his first Q3 appearance on Saturday, was punted off by Force India's Sergio Perez, the Canadian rookie's Williams beached in the gravel and forcing an appearance by the Virtual Safety Car. That remained for a couple of laps, with Hamilton now enjoying a healthy advantage and a number of drivers, including Vettel, opting to switch to slicks. Most of the frontrunners were on intermediates as green flags waved again, but there was another crash in virtually no time. Antonio Giovinazzi lost his car on the main straight, slamming into the pitwall barrier and necessitating a full-on safety car. When the race restarted on lap seven, the whole field was now on slicks, with Ricciardo stood Hamilton's closest rival, after Vettel lost ground through the earlier stop and Bottas spun under the safety car when trying to warm up his tyres. In green-flag conditions, a surging Verstappen quickly passed Raikkonen for third, before picking off teammate Ricciardo a few laps later with a dive into Turn 6. Hamilton, on soft tyres, proceeded to slowly but surely pull away from the supersoft-shod Verstappen, with Ricciardo quickly dropping off the pair and instead working to keep the Ferrari duo at bay. First, the Aussie had to worry about Raikkonen, but the Finn himself was overtaken by Vettel after a few fruitless laps of following the Red Bull – and Vettel then needed little time to pull off a superb outside move on Ricciardo. The German then started closing on Verstappen, who was now dropping significant time to the race leader and soon had Vettel in his rear-view mirror. Their battle was over before it had begun, Verstappen locking up hard into the hairpin, allowing the Ferrari through and then taking to the pits. Upon rejoining, Verstappen lit up the timing screens and, after he took fifth from Bottas with another late Turn 6 lunge, all the drivers ahead would make their stops as well. Eventually, this left Hamilton seven seconds clear of Vettel, and the gap between the pair remained around that distance apart for the rest of the grand prix, eventually ending up at 6.250s at the chequered flag. It means Vettel and Hamilton are now tied at the head of the F1 World Championship. It was much closer in the fight for third, as the final laps of the race featured a tense fight between Red Bull teammates Verstappen and Ricciardo. 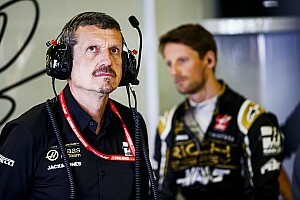 The Dutchman was audibly frustrated at the Haas of Romain Grosjean running ahead a lap down, but whatever interference the Frenchman caused was not enough for Ricciardo to capitalise. The Aussie tried a last-lap lunge at the hairpin, but came up short, having to settle for fourth place, while Raikkonen led compatriot Bottas in fifth. The midfield standout of the race was Sainz, despite the fact his decision to start on slicks had led to an initial spin at Turn 2. The Spaniard recovered, producing pace that was comparable to the frontrunners in the dry and eventually claiming seventh. Kevin Magnussen scored his first points for his new team Haas in eighth. He overtook the Force India pair of Sergio Perez and Esteban Ocon, with the duo completing the top 10 as they bagged another double points finish for the Indian outfit. There were five retirements in total, Stroll and Giovinazzi exiting in incidents and three other drivers foiled by reliability – Toro Rosso's Daniil Kvyat and the McLaren duo of Stoffel Vandoorne and Fernando Alonso, the latter pulling over with a driveshaft failure after battling Sainz.